HOUSEography: Steal-o-graphy: Let there by LIGHT! Steal-o-graphy: Let there by LIGHT! 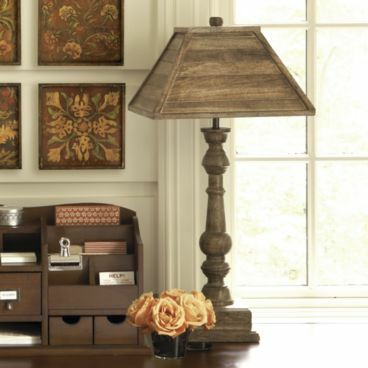 I really, really like lamps but right now I am having a hard time finding some that will work in my house. I came across this one in the Ballard Designs clearance section. I particularly like that it's 30" tall and made out of wood - seems like it would be more sturdy when my 1 year old knocks it off the table!! I'm considering ordering one. What do you think? Image courtesy of Ballard Designs.